RocketCop - A Blazing Fast Bot. bots on the market for Supreme, Shopify and Nike. 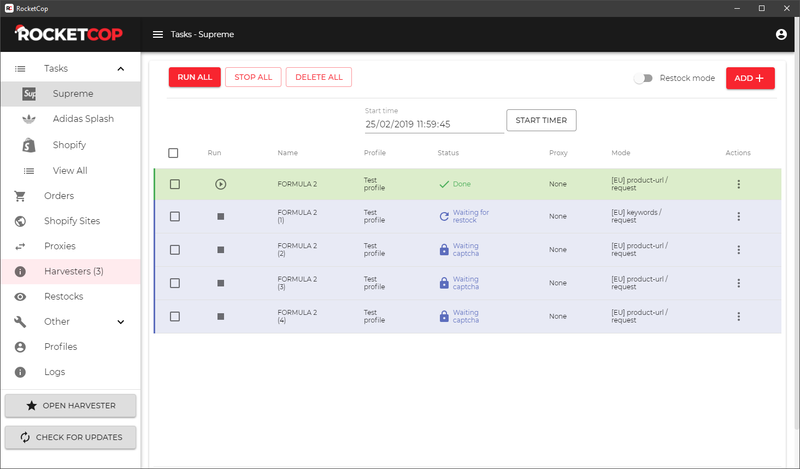 We offer a free cloud sync solution that allows you to synchronize your bot configurations across all of your devices with the press of a button! Not going to be at your computer at the drop? Simply use the timer feature to automatically start your tasks whenever you want! Should you encounter any issues, our support team is available to assist you around the clock! 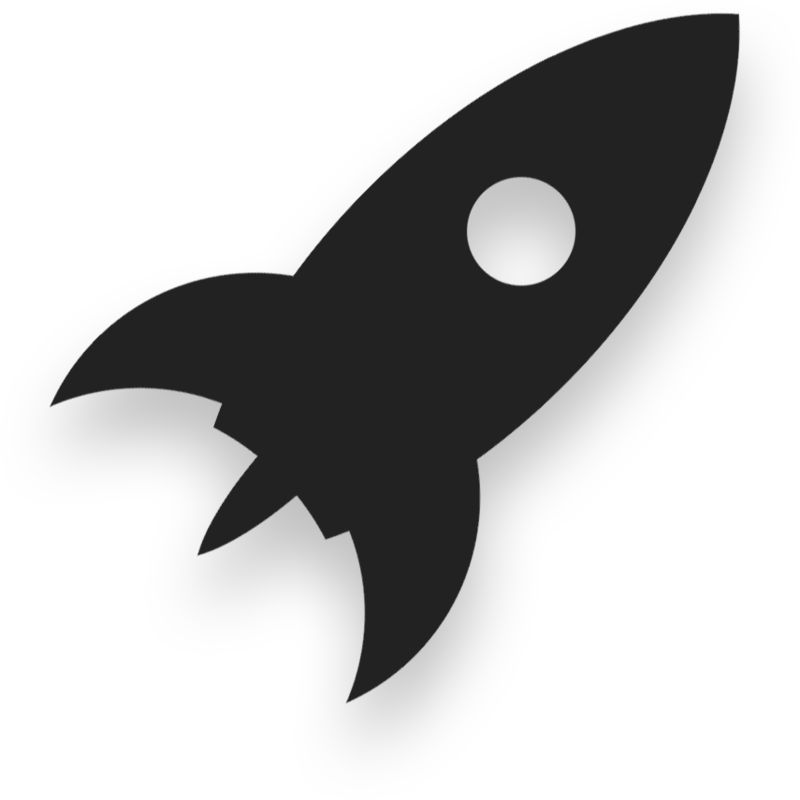 We're always looking for ways to improve RocketCop, so if you have any feedback or cool ideas we'd love to hear! Get access to our private Discord where you'll find droplists, monitors, resell predictions and much more! It may seem hard at first, but it's actually surprisingly easy! RocketCop take care of the rest! 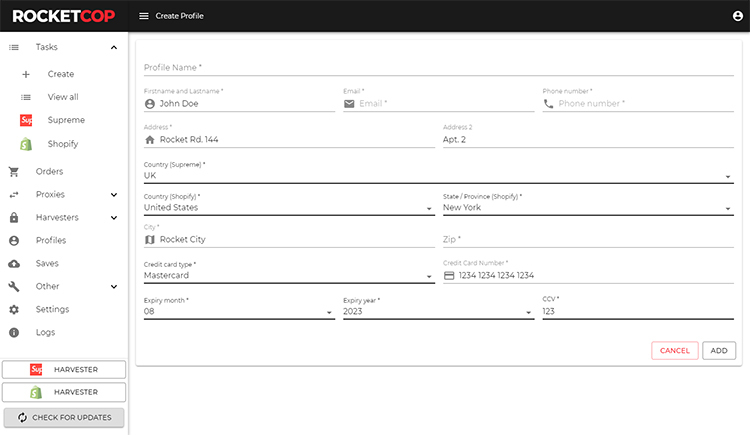 With our pooky and queue bypass, RocketCop is capable of checking out in record speeds! 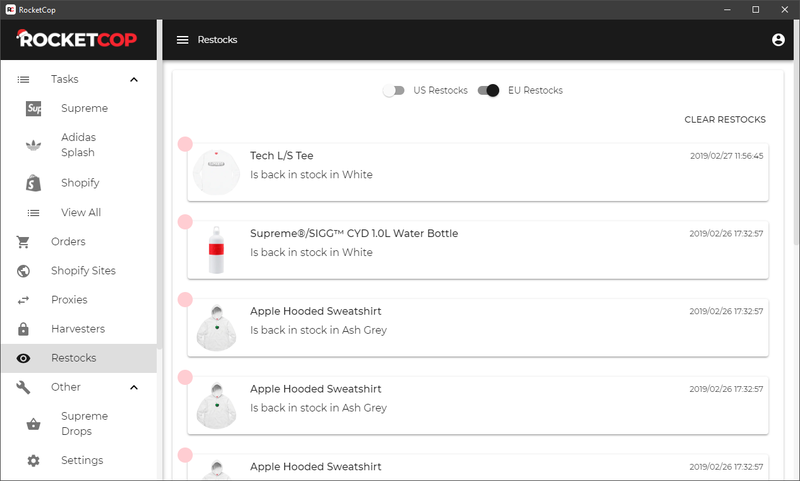 RocketCop features built-in monitors, so you'll never miss a restock again! In our private Discord you'll find weekly guides, monitors, resell predictions and much more! We offer different plans to satisfy all your needs. Want to get notified about restocks?